Time for a tropical getaway? Well you’re in luck! We are excited to announce that Barbados has just launched their Official Travel Guide powered by mTrip for iPhone and Android. Packed with detailed travel information, events, hot places, coupons and more, the guide is a must have for visiting island. 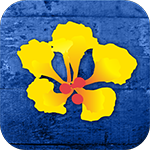 Download the app for your Android or iPhone to explore Barbados today! Located in the Caribbean (400km North East of Trinidad and Tobago), Barbados measures 431 square kilometers. With the official language being English it makes it easy to explore the island. Barbados has a wide variety of attractions from historic sites to natural wonders and pristine beaches! Here are just a few highlights from the island. Located under the cliffs at North Point, Animal Flower Cave is Barbados’ only accessible sea-cave. Estimated to be half a million years old, the entrance to the cave is lined with coral steps down and lead to stunning water pools including a “swimming pool” with great ocean views. Just one of three Jacobean mansions in the Western Hemisphere, St. Nicholas Abbey was built in 1658 and is well known for it’s rum. Located on site, the rum distillery is in full operation and is used to produce St. Nicholas Abbey rum. One of the most popular attractions on the island, Andromeda Gardens is a 6 acre botanical garden located in Saint Joseph. Featuring plants from around the world it has orchids, ferns begonias and more. Get a Free mTrip Travel Guide on the Fourth of July! Quito’s Official City Guide powered by mTrip is live! Koh Phangan Guide powered by mTrip released!